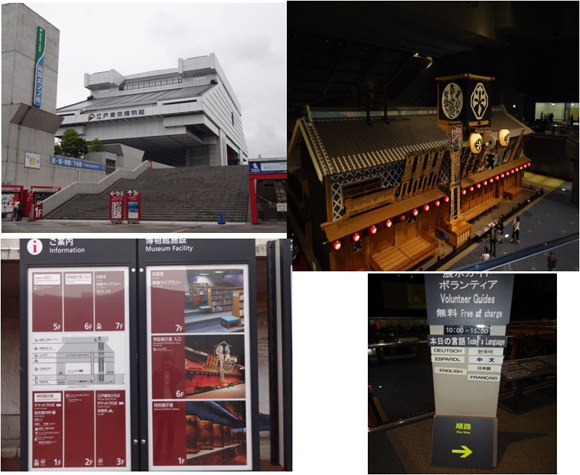 Introduction of museums and libraries in Tokyo and Saitama (a neighboring prefecture) as places to visit. Information includes accessibility for persons with disabilities. After the Great Kanto Earthquake in 1923, many gardeners who worked for Edo feudal lords and samurai moved from Tokyo to Omiya City and established a community for gardening which evolved into a Bonsai village. Bonsai is displayed inside the building as well as in the garden. 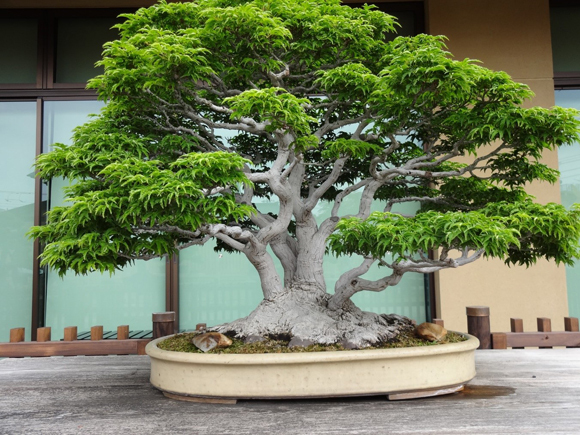 Bonsai is not only a tree in a pot, but also shows an overall landscape. - Located near Bonsai Village in Saitama City, 30km north of Tokyo. - Can enjoy a walk in Bonsai Village where there are Bonsai gardens. Omiya Park nearby is famous as one of the best sakura (cherry blossom) spots. Established to commemorate the 20th anniversary (2007) of East Japan Railway Company (JR East) after Japanese National Railways was dissolved and privatized. Preserves the physical elements and heritage of railways in Japan and abroad. Attracts many railway fans from home and abroad. 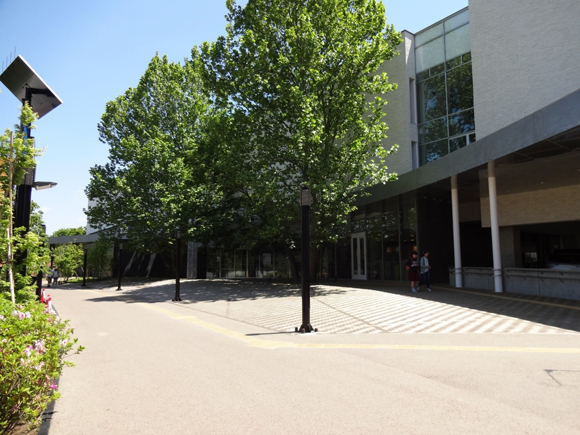 Accessibility: Universal and special toilets for ostomates, service dogs allowed and slope. No Braille. Edo-Tokyo Museum: Display of life-size building models. 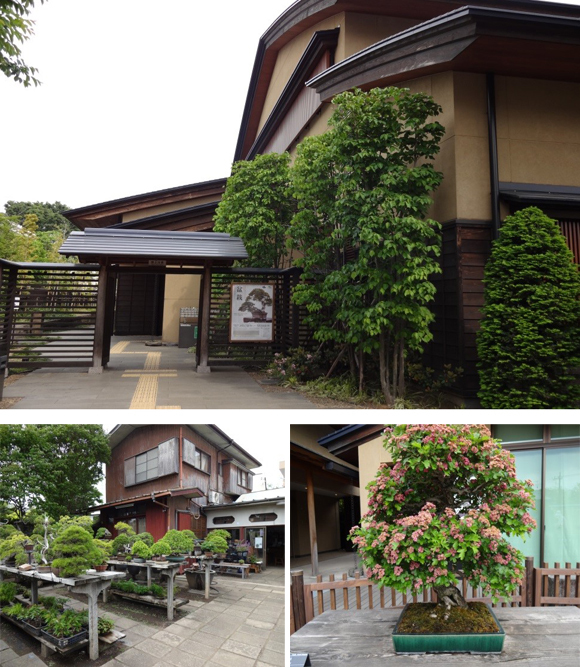 Edo NOREN: Restaurants of Japanese traditional dishes near JR East Ryogoku station. Asakusa: Sensoji (temple) and many small souvenir shops leading to the temple. One of the must-visit spots for foreigners. Famous sakura spot and cherry blossom cruise along the Sumida River. SKYTREE: Broadcasting tower, newly developed sightseeing spot. Its design resembles an Edo Kiriko glasswork. Dedicated to artworks of Hokusai (1760-1849), one of the most popular Ukiyoe (picture, block print) artists of the Edo era. One of Hokusai’s best known artwork is the 36 views of Mt. Fuji from different angles. His pictures also depicts the everyday life of people including food and customs. Accessibility: Flat entrance, accessible toilet, wheelchair rental. Free entrance for those who have disability certificates. Access : Accessible from the Oedo Line (subway) . 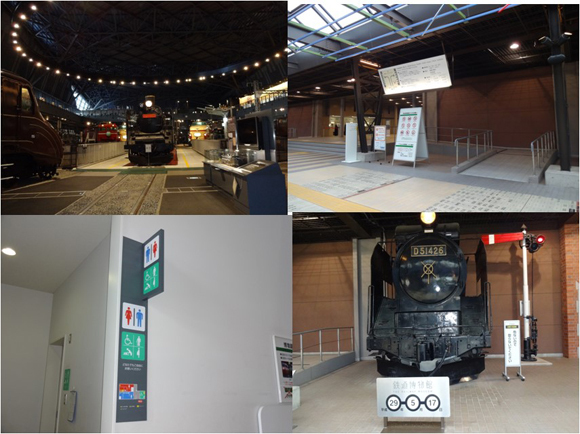 Many museums can be found near the stations of the Oedo Line. Established in 1993 by the Tokyo Metropolitan Government. Introduces the history and culture of the Edo period. *Edo period: 1603-1868, Tokugawa shogunate era. Toilet for wheelchair users, ostomates. Foreign language volunteer guides (English, Chinese, Korean, French, German, Spanish and Japanese). Admission fee: Free for persons with disabilities and up to two attendants. Half of regular fee for persons 65 years of age or above. Photo5: appeance of the Edo Tokyo Museum on the top left. Floor guide on the bottom left. The theater of Edo era on the top right, information on language volumteer on the bottom right. Ueno: Cultural place with museums, a concert hall and a zoo. Ueno Park is famous as a sakura spot. Many sentimental songs have been written about Ueno station as it used to be a terminal station. Established in 1959 as a museum to house the Matsukata collection that was returned to Japan by the French government. The collection was originally Mr. Kojiro Matsukata’s, who wished to establish a museum to display western artwork for young Japanese artists. Special exhibitions are also held. Main building designed by Le Corbusier, registered as a World Heritage site in 2016. Accessibility: Flat entrance, elevator, multipurpose toilet. those 65 years of age or above. Photo6: Appearance of the National Museum of Western Art on top two. Child mother toilet on the bottom left. Slope to the entrance of the Museum on the bottom right. 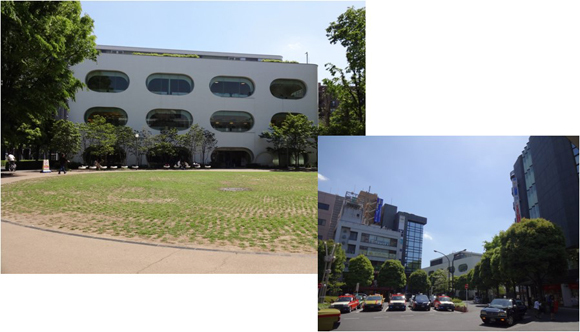 - National: Tokyo Metropolitan Library (one in Tama (Tama Library) and one in central Tokyo (Central Library)). - Japan Braille Library: Braille books, talking books and DAISY* books available. *DAISY: Digital Accessible Information SYstem. An international standard for digital books for people with visual impairment and print disability. **Sapie: Network providing comprehensive information on living (including library services, etc.) for persons with visual impairment. Sapie was developed by the Japan Braille Library and is operated by the National Association of Institutions of Information Services for Visually Impaired Persons. - Gallery TOM: Artwork can be touched. Original library established in 1913. Run by Tokyo Metropolitan Government. Accessibility: Multipurpose toilets including ostomates and parent and child toilet. Information in braille, talking books, DAISY books, information on recent accessible books provided by newsletters and Sapience (Sapie). 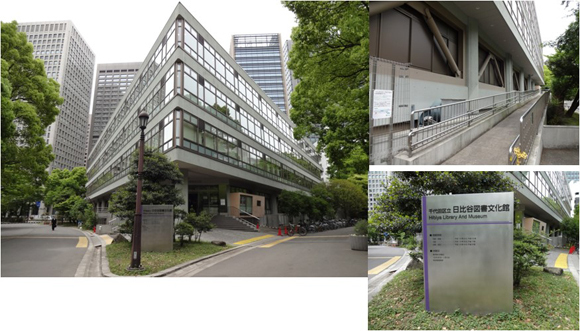 Also called Hibiya Library after its location. 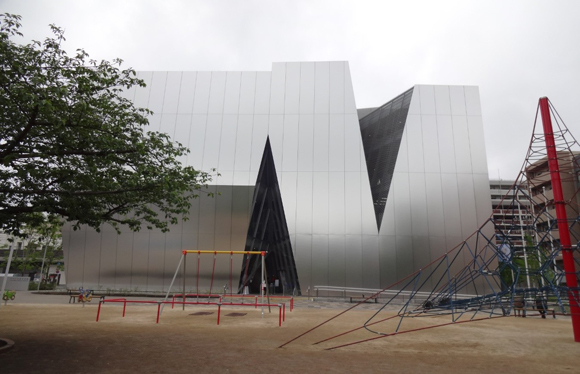 Selected as one of the nine most attractive libraries in Tokyo on the Internet. 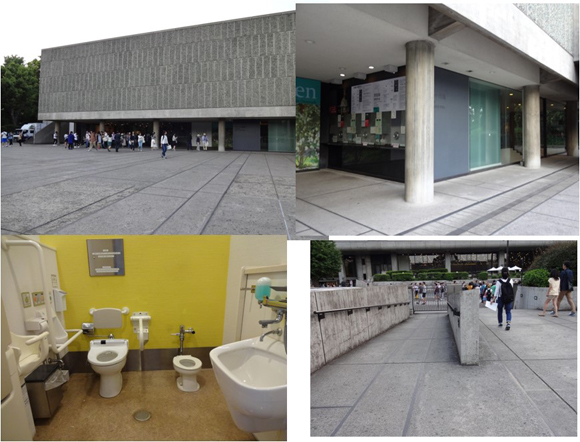 Accessibility: Toilets, information for persons with visual disability including reading service, rental of DAISY books. 2001 Proposed as part of the city development plan for Musashisakai. 2011 Opened to the public. Concept: Comprehensive, multipurpose functions, place for community use. Four functions: Library, lifelong learning, support of children/youth activities, support of community/NPO activities. Accessibility: Flat entrance, barrier-free toilet, reading service for persons with visual impairment. Copyright (c) 2007-2018 Japanese Society for Rehabilitation of Persons with Disabilities（JSRPD）All Rights Reserved.